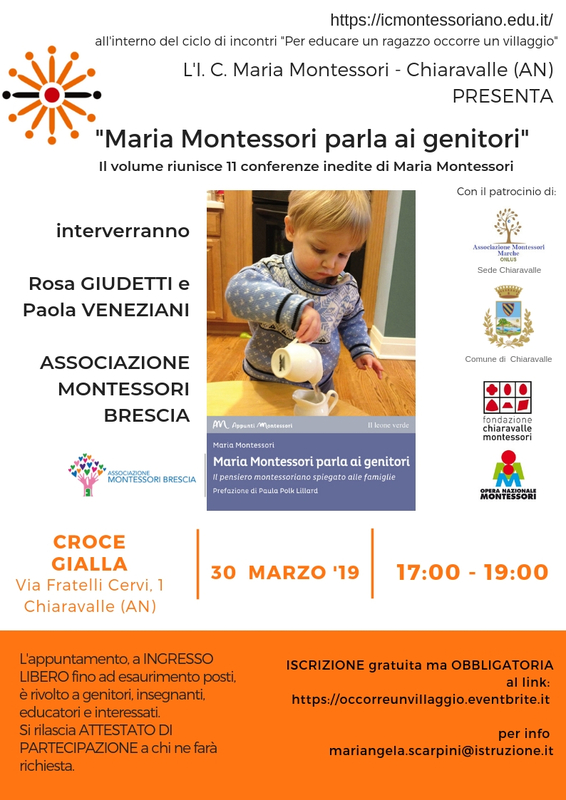 Saturday March the 30th, 5pm at the Croce Gialla auditorium, Via Fratelli Cervi 1 Chiaravalle, there will be a presentation of the book "Maria Montessori addresses the parents". 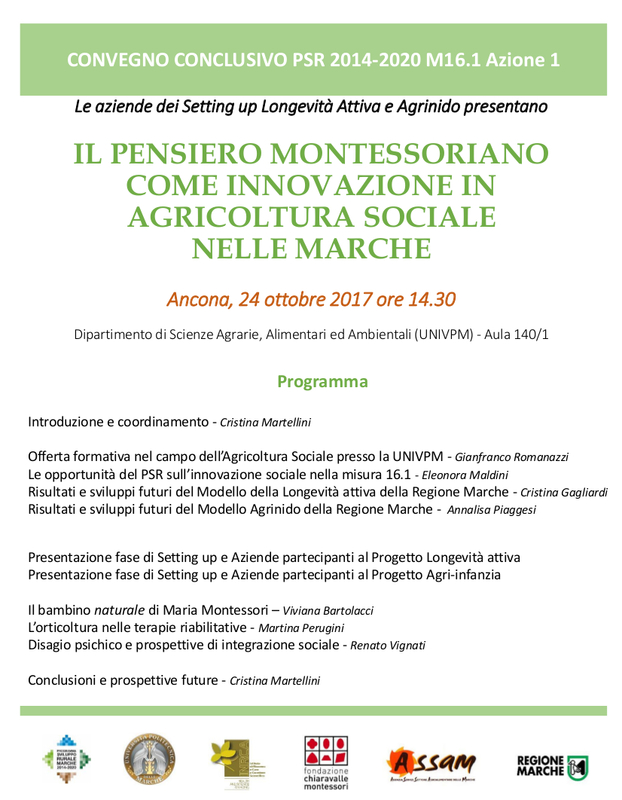 Rosa Giudetti, Paola Veneziani and the Montessori association of Brescia will join the debate. "Maria Montessori addresses the parents" is a volume that - through 11 never published conferences of "La Dottoressa" - shows us how, after more than a Century since the first Children's house opened, the childhood that Maria Montessori imagined still doesn't exist. Her revolution is copernican: the children are seen not as needy but as competent regarding thinking and doing stuff. Through this book Maria guides the parents within and beyond the family. The Fondazione Chiaravalle Montessori announces its "Montessori Zoology" seminary for Saturday the 15th of December (all day from 9am). The event has a maximum capacity of 20 people. Pre-enrollments must be made through this form by Friday the 7th of December. We will consider the arrival time of each form. Once all of them will be collected you'll be given the means of payment. The seminary has a cost of €50 including the tuition fee and the FCM membership for 2019. If necessary a diploma could be given. 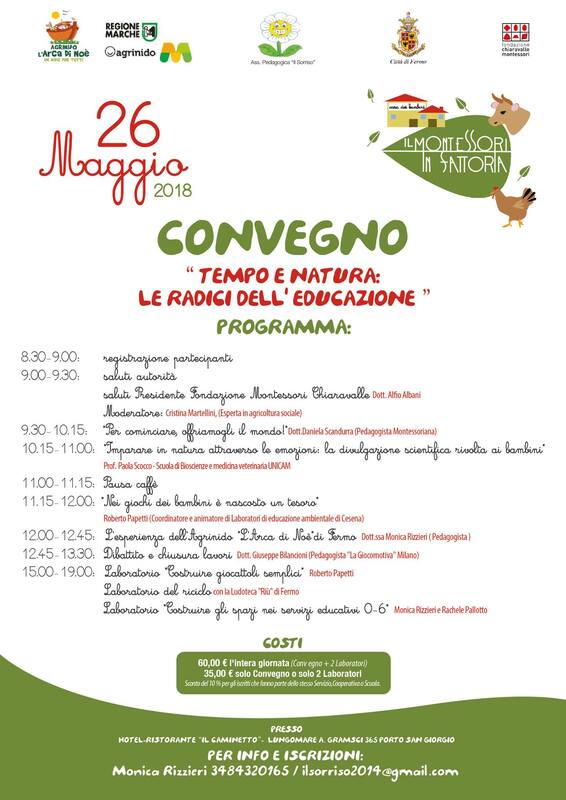 Convention "Time and nature, the roots of education"
The convention "Time and nature, the roots of education" will take place next Saturday, May the 26th from 8.30am to noon. Enrollment cost is 60€ for the whole day or 35€ for either convention or workshops. Meeting: "Educational alliances: school, association and family in the IM era"
New occasion to talk about education! 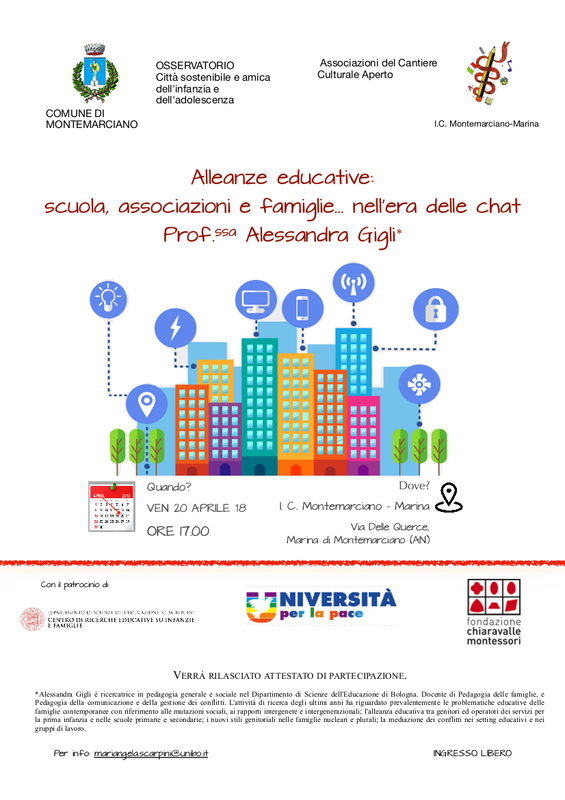 Next Friday April the 20th, at 5pm, the meeting "Educational alliances: school, association and family in the instant messaging era" will be held in Montemarciano at the school IC Montemarciano-Marina. The event, held by Prof. Alessandra Gigli of the Department of Educational Sciences of the University of Bologna, is addressed to teachers, parents, associations and citizens. Free entrance, a participation certificate will be given to the attendants. 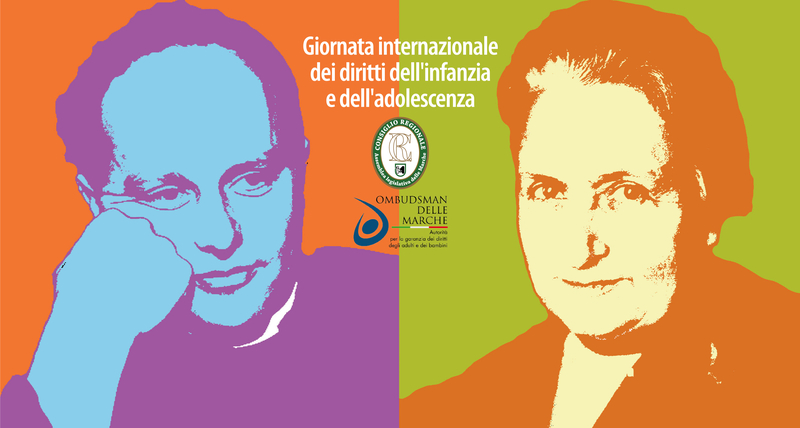 On Saturday the 14th of October, starting from 9am inside Astra Theatre of Castelfidardo, it will take place the 3rd annual national conference on Montessori education by the name of “Maria Montessori: signs and sounds of a conscious and protagonist child”. 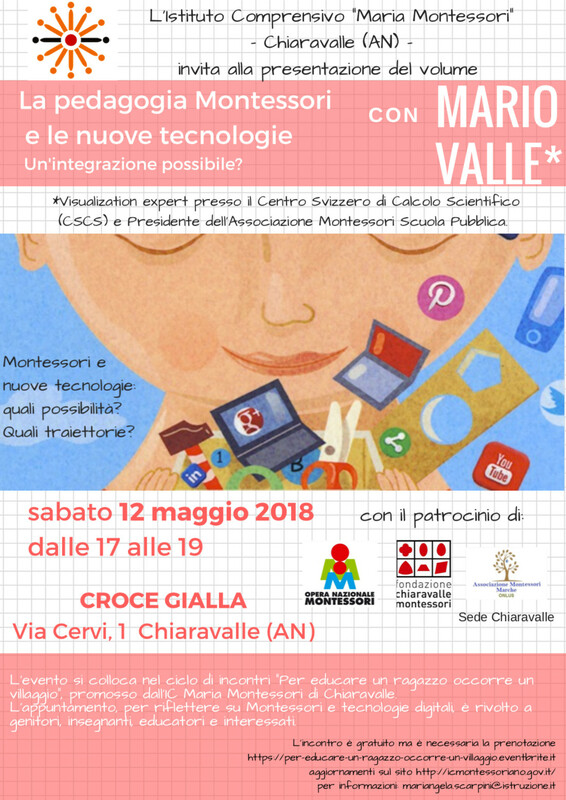 The event, organised by the Montessori Marche association with Fondazione Chiaravalle Montessori and IC P. Soprani, will have guests like: come Lucia Ferretti, Leonardo Fogassi, Luciano Mazzetti, Marco Santilli and Clara Tornar. In the files below you will find the complete program of the international convention "The elder at the center of a life project". The event will focus on the application of the Montessori method with elderly and mentally impaired people. Last seats available at this link, hurry up!